My family moved from Cleveland, Ohio to beautiful Cape Coral several years ago. When I'm not working, I love to spend my spare time with my family and friends enjoying all that Southwest Florida has to offer. I am also a freelance writer and published author. God has blessed us with 7 beautiful children and 2 grandchildren and 2 dogs! 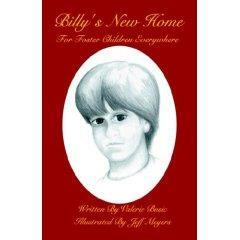 "Billy's New Home, For Foster Children Everywhere"
"It's a Mom's Life Bio"